Choosing the right Columbus DUI Lawyer is critical. Being charged with a DUI / OVI in Columbus, Ohio can pose some very serious penalties. The State of Ohio has some of the harshest DUI / OVI laws which could lead to your case involving serious DUI consequences such as jail time, fines, and a license suspension. It is essential to have an experience and effective Columbus DUI lawyer to defend your rights. Dimitri is one of the most professional lawyers I have worked with. He is a straight-shooter and will tell you how it is. I have personally recommended him to friends who have experienced legal issues and they would vouch for him without question. If I ever run into legal issues, Dimitri is the first lawyer I would call. Dimitri has represented myself and a few friends for OVI cases. In each case he took time to hear our version of what happened and represented us based on our unique situations. He was able to get lesser/appropriate charges and sentencing. He is super helpful explaining things and friendly! Dimitri operates with collected thoughts and a calm demeanor, but do not let that mislead you - as was the case with his on-field play with The Ohio State Football team, Dimitri will not be pushed around by anyone. Providing big firm representation at a fraction of the cost, Dimitri is truly one of the best values in Columbus. I give him my full recommendation. Columbus DUI lawyer Dimitri Makridis has the experience and tenacity to handle your OVI / DUI case the right way and effectively fight for your rights. Are you searching for someone you can trust to handle your DUI / OVI charge in Columbus, Ohio? Searching for an experienced and trust-worthy OVI / DUI lawyer can be challenging. While your OVI / DUI case might be time sensitive, it is important that you find the proper representation to defend you. Makridis Law Firm holds a reputation for not only aggressively pursuing your OVI / DUI case, but also for providing the best possible outcome. Look no further than the Makridis Law Firm in Columbus, Ohio and surrounding areas to handle your DUI / OVI case. Check out what some of our clients have said about their experience. A DUI charge can change your life, so hiring the right Columbus DUI lawyer is critical. Makridis Law Firm will tenaciously defend you if you have recently been arrested for a DUI / OVI in Columbus, OH and the surrounding areas. Did you know our consultations are completely free and confidential? 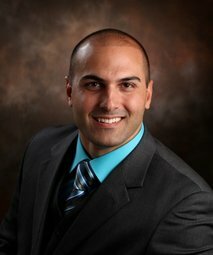 Dimitri Makridis is a top Columbus DUI lawyer. If you’re charged with driving under the influence (DUI), known as an OVI (Operating a Vehicle Under the Influence of Alcohol or Drugs) in Ohio, the attorneys at Makridis Law Firm can help you navigate your case and get you the results you deserve. You may think your case has no defense, especially if the prosecutor’s argument is centered on test results and testimony that could incriminate you; contradicting this evidence may seem impossible. With the experience and skill set of Dimitri Makridis by your side, you have a much better chance at reducing or dismissing the charges. The experienced and dedicated Columbus DUI / OVI and criminal defense attorneys at Makridis Law Firm are aware that when charged with a criminal offense, you are risking your freedom and future. Therefore, it is crucial to speak with a highly skilled and knowledgeable Columbus DUI lawyer who understands these risks and will advocate for your rights. Based in Columbus, Ohio, Makridis Law Firm represents clients throughout the central Ohio area as well as the surrounding counties with assertive and smart defenses for charges such as DUI / OVI, drug crimes, assault, felony and misdemeanors. Our comprehensive background in defending these crimes is just one reason Makridis Law Firm will help better represent you and your rights. Makridis Law Firm has over 37 years of experience, focusing on DUI / OVI defense in Columbus, Ohio. As a dedicated Columbus DUI Lawyer, Dimitri Makridis has represented a variety of clients and therefore understands that each case is unique and requires the highest standard of representation. Dimitri Makridis offers free DUI / OVI consultations in order to gain a proactive perspective about your case and situation. Call now at 614.349.4490. What penalties do I face if I am convicted of DUI / OVI? Whether it's your 1st or 4th conviction, please see our DUI / OVI penalties page for all potential penalties you might face if convicted. To avoid these penalties contact a Columbus DUI lawyer today. Call 614.349.4490. What's the worst case scenario after I am arrested for DUI / OVI? This really depends on the facts of your case, the prosecutor handling your case, and the judge you are in front of. People hear horror stories about lives being ruined because of an OVI conviction, which can make facing these charges even more nerve-wracking than they already are. But, an experienced Columbus DUI lawyer can review all of the different factors that surround your case and present the best possible strategy to resolve your case in a favorable way. Call 614.349.4490 today to find out how we may be able to help. Do I have to consent to field sobriety tests? No. You must exit your vehicle if the police ask you to do so, but field sobriety tests are completely voluntary. Do not let the situation or the police make you feel as though you need to comply. In fact, you should NEVER agree to perform field sobriety tests. They are balancing tests that all people fail (regardless of alcohol consumption or how good your balance is) because of how specific they are to follow and how difficult they are to perform. For more information on how to handle this situation, click here. Can I be convicted of OVI if I refuse to take the breath, urine or blood test? Yes. If you refuse to allow the arresting officer to measure the amount of alcohol in your breath, blood or urine, you may be convicted of DUI / OVI based on evidence of impairment, such as poor driving, odor of alcohol, admission to drinking, slurred speech, bloodshot eyes, unsteady on feet, and poor performance on field sobriety tests. For more information on what to do when you get pulled over and have been drinking, click here. Can I contest a DUI / OVI charge if I fail a breath, blood, or urine test? Yes. Failing a chemical test does not automatically mean your case will be lost. There are a number of different laws, policies, procedures, and rules that the police must follow in order to legally admit your chemical test into court. An experienced Columbus DUI lawyer can review the evidence and help you decide how to best approach your individual case. Should I agree to the search of my vehicle? No. If you consent to the search of your vehicle, the officer can conduct a full search without a warrant. Anything the officer finds can and will be used as evidence against you in court. Do not give the officer consent to search your vehicle, even if the officer insists or pressures you to consent. Simply say "Sir / Maam, I do not consent to searches of my vehicle." If I am arrested for DUI / OVI, can the officer search me and my vehicle before taking me to the police station? Yes. After placing you under arrest, the officer can legally search you and your vehicle. Can I exercise my right to remain silent after I have already made a statement? Yes. In the event that you do choose to make a statement, you can always stop talking at any time. Just tell the officer: "I choose to exercise my right to remain silent." If you have been arrested, telling the officer that you wish to speak with an lawyer requires that law enforcement end any interrogation, including asking questions that might incriminate you. To speak with a Columbus DUI lawyer, call Dimitri Makridis at 614.349.4490. Can the police use force to arrest me? Yes, and as much force as may be necessary to arrest you. But an unreasonable amount of force can be deemed an assault. After an arrest, a police officer may handcuff you, and if you resist in any way, the officer may use whatever force is necessary to restrain you. What happens after I am arrested for DUI / OVI? After you are arrested for DUI / OVI, you will be taken to a local police station and asked to perform a chemical test (breath, blood, or urine). For more information on whether to consent to a chemical test (breath, blood, or urine), please click here. After that, a bond / bail is usually set to assure you appear in Court. If you cannot post bond you will likely have to spend the night in jail. If you post bond, make sure to show up for court. The arraignment must be scheduled within 5 business days of being arrested. What is bail / bond? Bail / bond is money (or other property) that is deposited with the clerk of court to ensure your appearance at a future court date. If you return to court, as required, then your bail will be returned at the end of the case (even if you are ultimately convicted). However, if you do not come to court when required or otherwise violate your bail / bond conditions, the bail / bond can be forfeited. What happens if I submit to a breath test and test way over the legal limit? Ohio currently has enhanced minimum penalties for so called "high tier" test cases. The high tier test results are .17% or higher for breath, .204% for blood serum or plasma, and .238% for urine. The arraignment date must be held before a judge in court within 5 business days of your DUI / OVI arrest. During the arraignment, the charge(s) filed against you will be explained. You will also be asked by the judge to enter a plea of guilty, not guilty, or no contest. Having an experienced Columbus DUI lawyer at your arraignment is important because he / she can properly deal with your administrative license suspension (ALS), including, whether to stay the suspension or request limited driving privileges, negotiate a favorable bond, review the file for defects, and otherwise get a feel about your case. If you have only spoken to a DUI lawyer before your arraignment date, explain that to the judge and either continue your arraignment date or enter a plea of not guilty and hire an attorney. Choosing to refuse to submit to a breath, blood or urine test, or testing over the legal limit can result in an administrative license suspension. In Ohio, such a refusal or a test over-the-limit will result in an automatic suspension of your driver’s license. Will I get limited driving privileges while my DUI / OVI case is pending? The short answer is "yes." It is rare for a judge to deny limited driving privileges after you become eligible for privileges, but the time frame in which you can become eligible varies (see here). Limited driving privileges also greatly depend on which judge you are in front of and which county you are in. Call a Columbus DUI lawyer today to discuss the likelihood of being granted limited driving privileges in your case. A pre-trial is usually the court date after arraignment (unless your arraignment date is continued to another date). Your pre-trial will usually set the tone for how your DUI / OVI case is going to go. It is a chance to collect, evaluate, and discuss all of the evidence against you. It is also an opportunity to determine whether a plea bargain will be offered by the prosecutor or whether you will need to take your case to motion hearing or trial. What is a motion hearing or suppression hearing date? A motion hearing is a date requested by your Columbus DUI lawyer. It is an opportunity for your Columbus DUI lawyer to put the officers who conducted the investigation on the stand and ask them questions about how they conducted their investigation. It's purpose is to allow the judge to rule on whether the investigation, or parts of it, were conducted properly / legally. If the judge decides that certain parts of the investigation were not conducted properly / legally, he / she will rule those parts excluded or "suppressed" from trial, which means a jury will never see those parts of the investigation. What a jury is allowed to see at trial is crucial to the defense of your DUI / OVI. The more that is suppressed, the better for your case. How does a DUI / OVI case end? All DUI / OVI cases end with a plea bargain or trial. After the court dates listed above have been exhausted, a case is set for trial. Many times a trial date will be set multiple times in busier counties. This happens for many reasons. For example, the judge might have a busy docket and is unable to go to trial that day. Sometimes the prosecutor is not ready to proceed (maybe because the arresting officer is unavailable that day). Sometimes your lawyer will request a continuance for a date that works better for him / her. There are a number of different reasons multiple trial dates can be set. Each date, however, is an opportunity to resolve the case without going to trial. If a trial does begin, it will usually take at least 4-5 days to finish -- at least one day to pick a jury, at least one day to present the evidence, at least one day to present closing arguments, and, most times, juries need more than one day to decide a case. Can I get my DUI / OVI charge reduced to physical control or reckless operation? This is a common misconception. Not all first-time DUI / OVI charges can be reduced. There are a number of different factors that dictate whether it might be a possibility. The facts of the case (including how you acted on the video, the reason for the stop, how the officer conducted his / her investigation, how you performed on the tests, and whether the officer had probable cause to arrest you), the prosecutor's view of the facts of the case, and many other factors. An experienced Columbus DUI lawyer can assess the facts of your case and decide whether it might be a realistic possibility. Call 614.349.4490. Another obstacle is the pressure prosecuting attorneys are under to fight DUI / OVI cases and to push back against reductions. If a prosecutor learns that the officer conducted his / her investigation poorly, or that they have evidentiary weaknesses in your case, or if the prosecutor believes your case has a good chance at winning at trial, they will usually negotiate. But, it is a misconception to believe that prosecutors will just casually reduce your charges, just because. This is why it is important to hire an experienced Columbus DUI lawyer who fully understands the arguments that can be raised on your behalf, who is known for fighting these cases, and who is not afraid to take DUI / OVI cases to trial. DUI / OVI cases are litigated more than any other misdemeanor, felony, or criminal case. You want someone fighting on your behalf who knows what they are doing. Will I be put on probation for a DUI / OVI? Again, this depends on a variety of different things, including how your case is resolved, which judge you are in front of, which courtroom you are in, etc. However, in most cases, there is some period of probation if you accept a plea / reduction. Length of probation can also vary. It can be a few months to 5 years, with 1 year being the most common length of probation for a DUI / OVI. Probation can also be ordered by a judge to serve a number of different purposes. Sometimes it's ordered to prevent you from consuming alcohol / drugs for that period of time. Other times probation might be ordered to make sure you do not commit a same or similar or offense during your period of probation. Again, each case is different. Call an experienced Columbus DUI lawyer to discuss the specifics of your case. Can I represent myself in a DUI / OVI case? Yes, but not recommended. DUI / OVI law is overwhelming, technical, and convoluted. Each individual courtroom, judge, and prosecutor also impose their own obstacles and procedures. Not knowing the law will not afford you any leniency either (in fact, it usually works the other way around). An experienced Columbus DUI lawyer has the knowledge and experience to manage the very specific issues that might come up in your case, the law that applies to those issues, and how your court / prosecutor / judge might respond to the arguments that can be raised. How much time will my DUI / OVI case take? Each case comes with its own very specific fact pattern, so it depends on the facts of your case. Some cases can be resolved at arraignment, and others require a motion hearing and/or trial (which can take 6 months to 1 year from the date of arrest). An experienced Columbus DUI lawyer will evaluate the evidence in your case and take the time to sit down and discuss your case with you during each stage of the process.